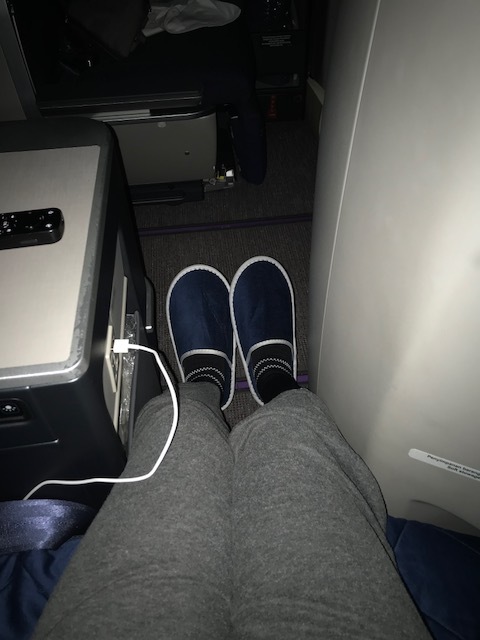 I got an upgrade from business to first class. Going by other blogs/vlogs on youtube. 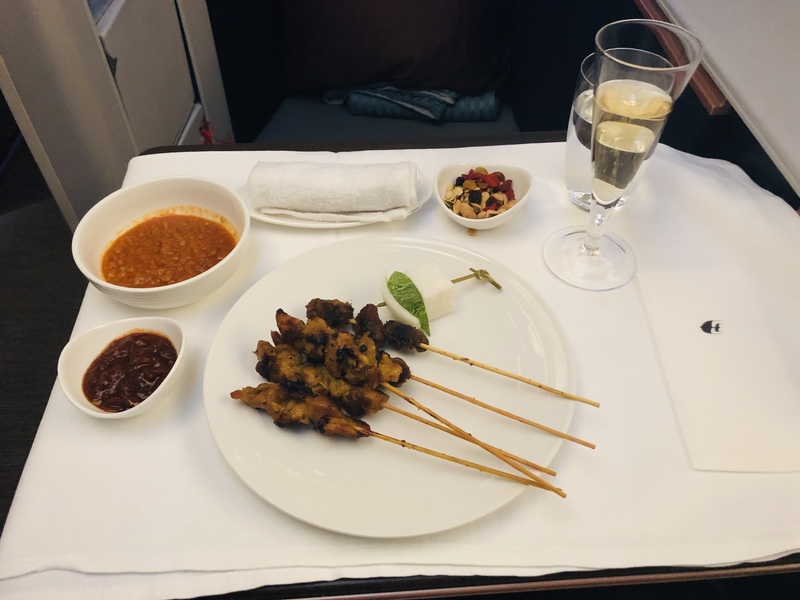 Maylasian airways are the only airline that has first class on the A350-900. Unsure of that fact? Anyway great upgrade, only 4 seats in first, very quiet and personal. No. 1 for me. 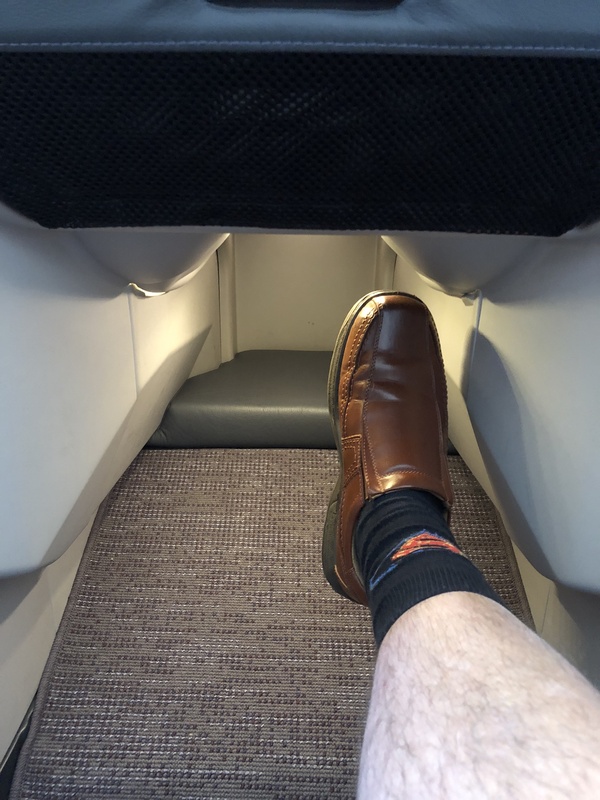 Tones of leg room, I am just under 6 foot but taller people will have plenty of room. I am broad stature as well but that was no problem. Obveously being first class the seat was very good. No wings on head rest, that was ok. Seat functions where good, many settings including compleat flag bed. This had firmness control. There was also lumber massage not bad. Even when laid flat, you have easy access controls. Plenty of storrage although I only had laptop carry-on. A350 has no centre overhead storrage, but did not seem to be an issue. TV was very big, user friendly althougth did drop out sometimes. Prob. Flight operating issues. 13 hour flight I did watch a film, unusual for me. Service was top notch. Been on Singapore airlines very good. Rate Maylasian better. Food was outstanding. (personal taste). One downside to the window seats in first. I am just under 6 foot but I hit my head twice on the overhead, its a bit low. My fault not looking. Ordinary economy class seat with extra leg room. Seat is comfortable. Recline limited. Has power socket n foot rest. Touch screen display. 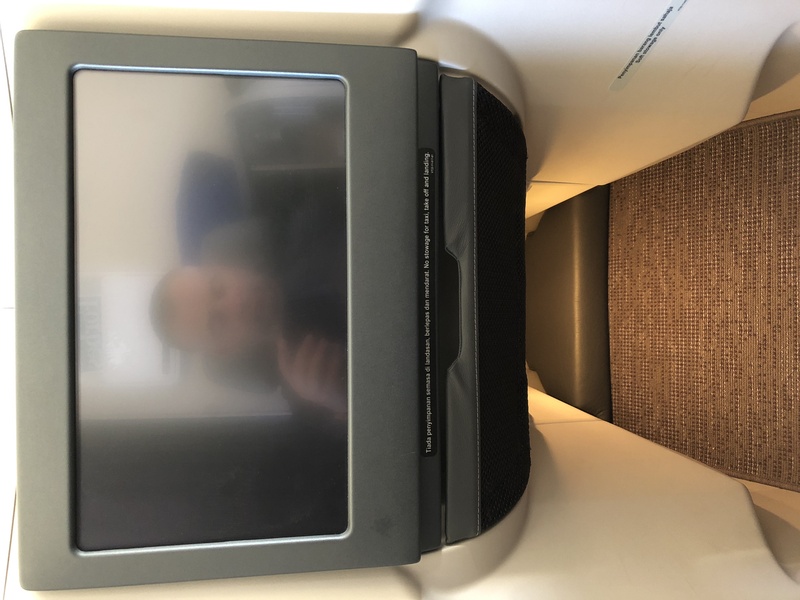 Row 15 is a better extra leg room row of seats as there is a divider behind so your seat back don't get kicked as mine was by a child seated behind. Also toilets are a fair way back. The toilet set up is irritating as there is no way to get across to a free toilet at the other aisle in the mid section set of 4 toilets. Overall toilet provision is not satisfactory; always a queue. 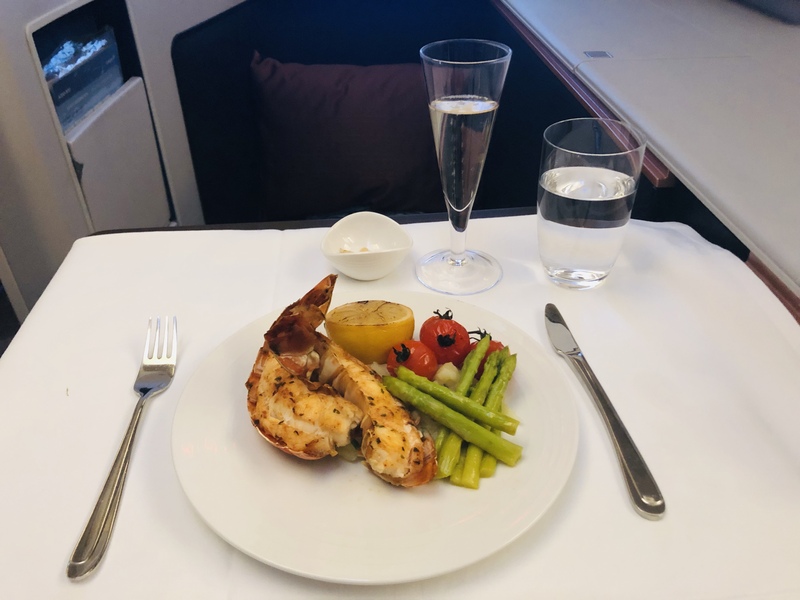 Also if food service started from the back as happened with our second meal service being almost at the front of economy class section means meal choice can run out as happen to us. 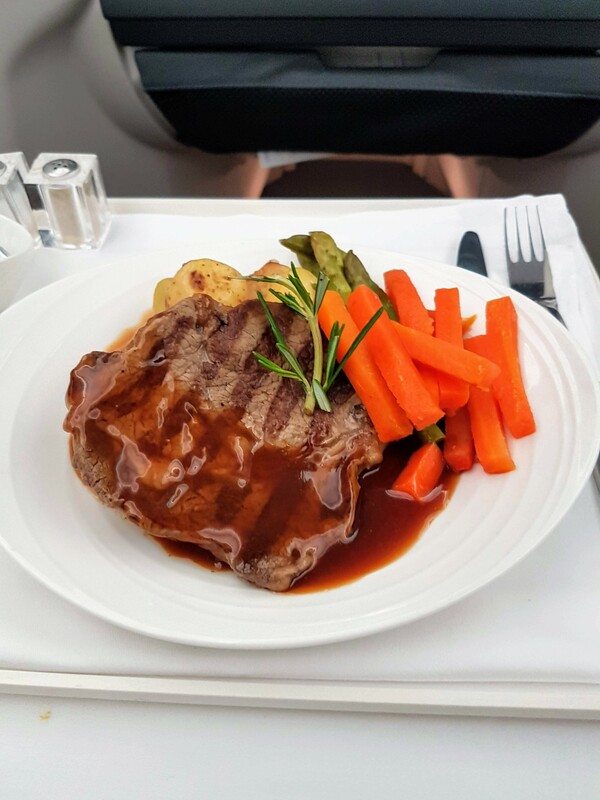 Flight attendant was stroppy when requested to provide an alternative to beef but eventually complied. Food quality a notch or two lower than of 5 years ago. The economy class configuration of MAS A359 is poor with 3 3 3 seat rows, narrow aisles and poor toilet provision. 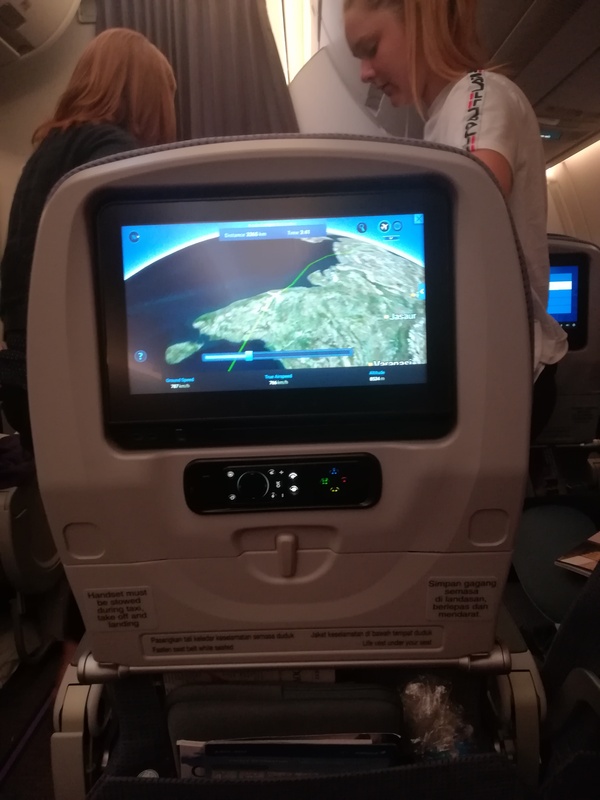 Malaysian Airlines have really plunge in overall product quality not even getting the hard product of a new aircraft right. Sad. New A350-900 service from London to KL. I will start with the negatives. The First Lounge at LHR is very dissapointing. The food was dissapointing however the lady that was serving was a joy to be around. If you are over 5”10” and bigger than 88kg you are in for a very uncomfortable night at their business class seats. The seats are narrow and short. I could not lay totally flat because there was not enough space. 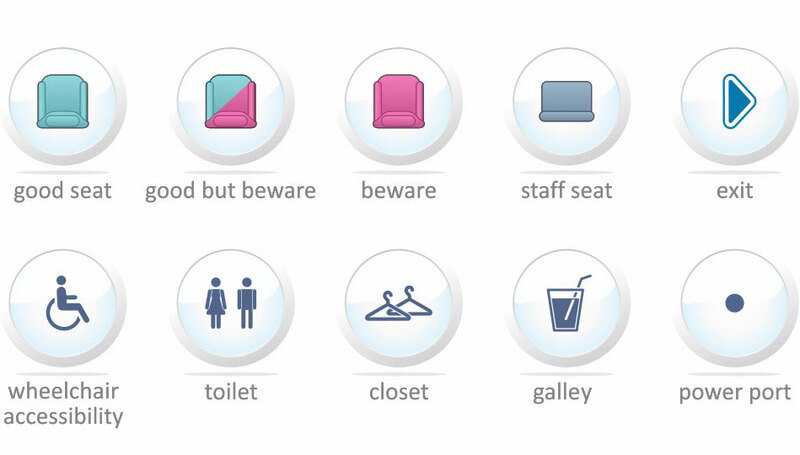 There are 31 seats in total and 2 tiny toilets. The toilets are so small I had to seat on the loo seat to take my trousers off and to change to my pijamas. By the way, theyir amenity kit is very poor and I was only given slippers. If you are taller than me Malaysia airlines Bussiness is not for you spend your money somewhere else. Now the positives : the crew is fantastic, the service was wonderful and the food was delicious. 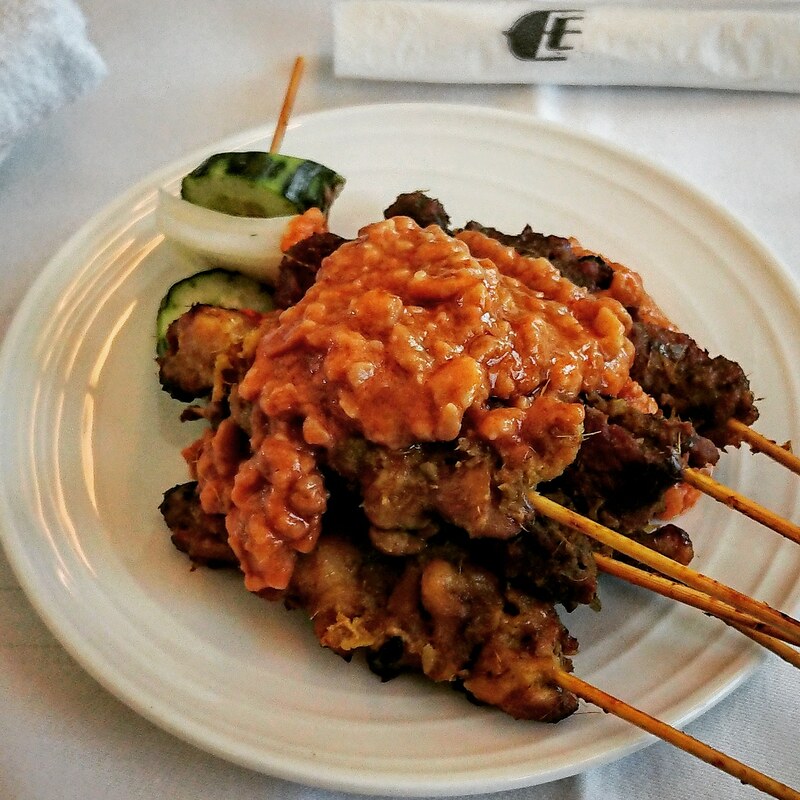 The satay skewers were divine. They are all extremely attentive and they are ready to do anything for you but do not expect your bed to be made. 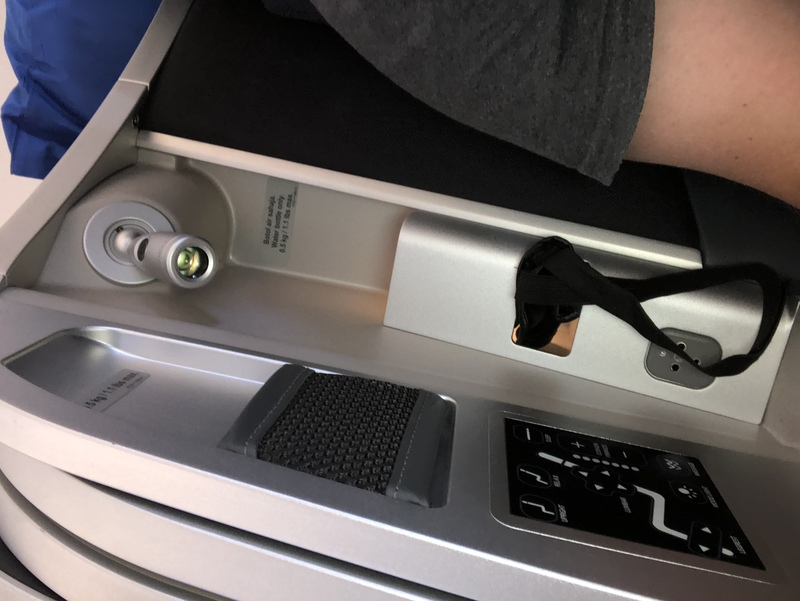 I bought an upgrade for this leg of my journey to Australia. Malaysia Bussiness Suite are very generous in terms of space and privacy. The service was a bit of a let down for me. As i was flying overnight, the crew was surprised I wanted to have dinner. I had pre ordered the lobster and I found it a bit rubbery, the vegetables overdone and the mash had a peculiar taste. I was surprised there was no rolls offered or salt and pepper shaker on the table. At the end of my meal I was offered tea or coffee but no dessert. There is Tattinger available on the menu but we were not offered it. We had another kind of champagne instead. At breakfast the service got better and the meal was excellent. I loved the banana bread. It was served warm and tasted fresh. If you are 6” tall or taller I highly recommend the suite. I had preciously mentioned that the business class cabin seats are very narrow and short. 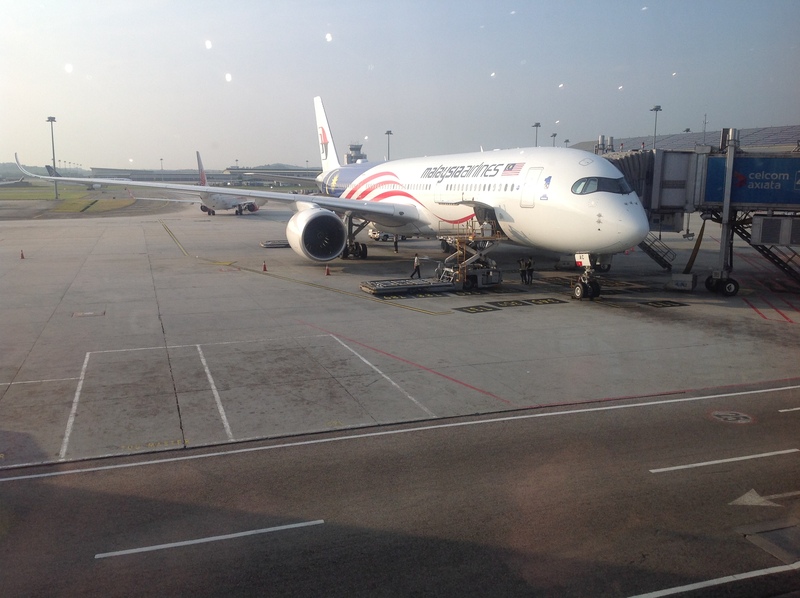 The aircraft on flight MH 002 Malaysian airlines from Kuala Lumpur to Heathrow looked fresh and new. The lighting made it looked modern. However, the aisles on this aircraft are very narrow so it is difficult to walk along the cabin. 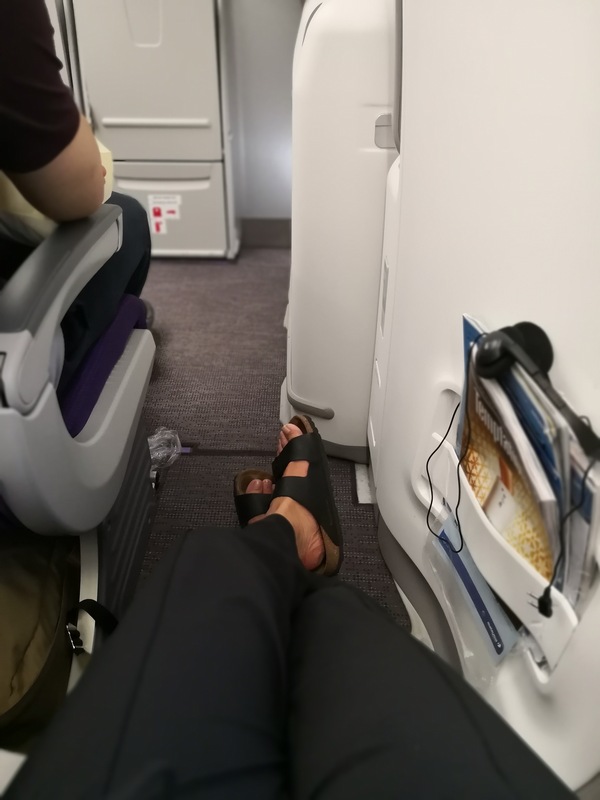 I sat at 15H which is a seat with extra leg room. Though this extra leg room is welcome, the seat is very narrow too. The configuration is 3-3-3, which makes the plane feel claustrophobic particularly for a 13 hours flight. The overhead light is very weak so it is almost impossible to read in pitch darkness. 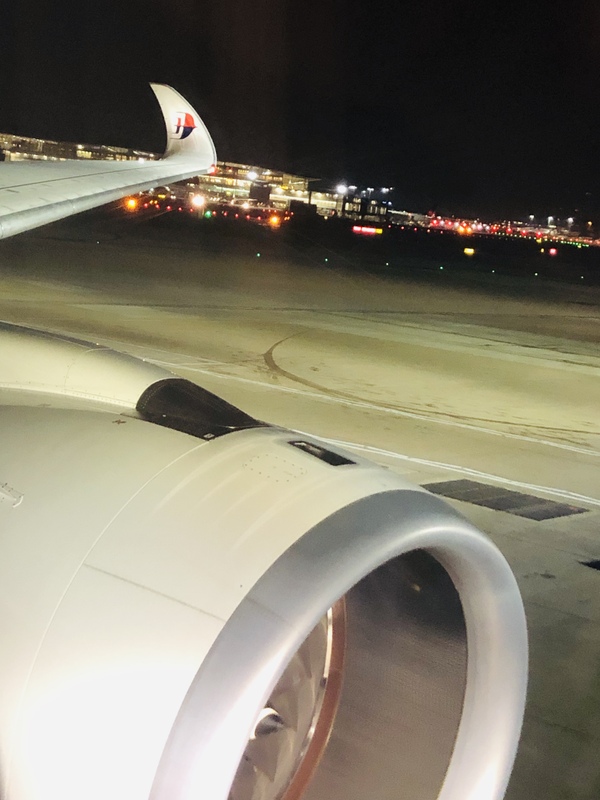 Turbulences are felt more than in the airbus 380 and the airbus 350 also makes more noise than the 380. 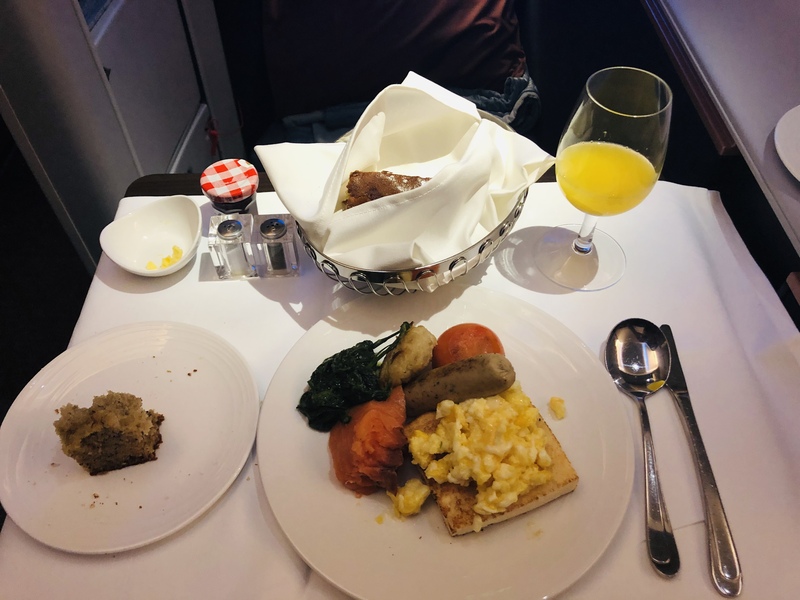 In terms of service, the 2 meals were good but the crew did not pass through the cabin between meals so had to get up and go to the end of the aircraft each time that I wanted to request water or juice. 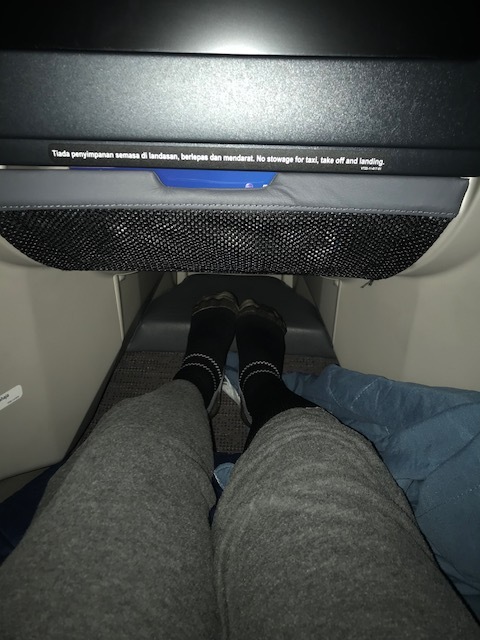 Paid for the extra legroom as I require alittle extra space since having back surgery and read reviews that the normal economy seats are alittle tight. Didn't want to risk getting stuck in the middle. Great space and loved being able to access the seat from the row infront. Overall the aircraft is OK. Aisles seems alittle small but happy with the seat itself (£35 for 14hrs of comfort is well worth it!) only thing is as its technically an exit row seat you have the entertainment system stored in between seats so can't watch anything until after take off and need to pack everything away prior to landing :) I ordered a low calorie meal, meant I got double servings of fruit and healthier options (protein) and also that I got served quickly. Also means you don't run out of choices depending on where you are sat. MH3 on May 18. Seat 5K is not suitable if you're more than 5'5". Although it is a window seat, but with the extra desk on your right, the window is totally not easily accessible. Very hard to snap a photo/record a video from that distance. Space to get in/out from the bunker is also very tight, barely can fit both of my leg. 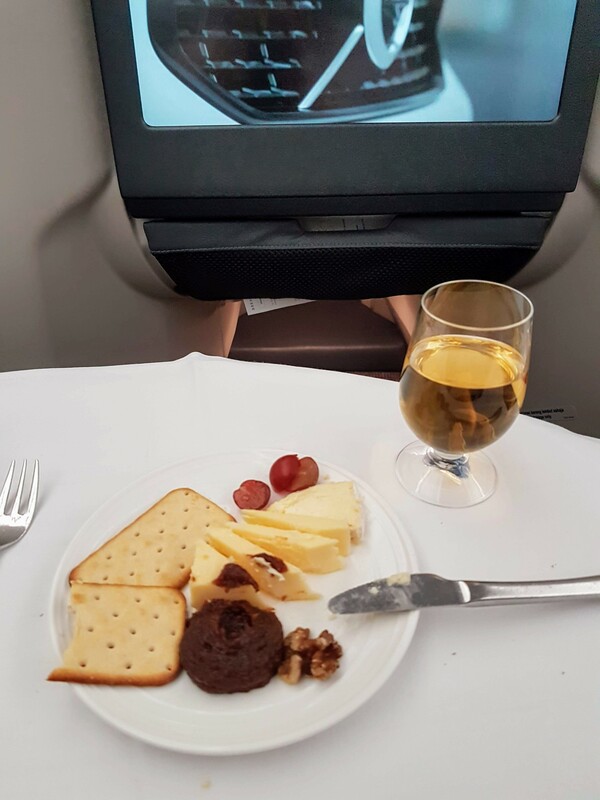 2 star rating for seat recline because no individual recline function, 2 star food because QA is the 5 star, 1 star for IFE because IFE for whole plane was not functioning during first half of the flight, 2 star for crews service because crews seems like dragging their feet to serve the guests. 27A is an excellent seat; but, it's quite expensive. I was charged RM180.00 each way (Kuala Lumpur KUL to London LHR, return). I used to book this seat whenever available. It is a window seat with ample leg room and easy to go in and out of your seat to visit the toilet. Only be cautious with your head whenever you stand up for nature call because the emergency exit door slants quite low overhead. If you're not careful, you can knock your head against the door. The economy seats were not particularly comfortable for the long journey. The second meal was rice based, as did the first, but it was a Malaysian speciality and different to the lunch. However, the alternative omelette was not the best choice. The meal was not hot enough and the warm coffee was also struggled to dissolve the creamer. I thought the aircraft was considerably noisier than expected (new A350). The entertainment system was mediocre. The headphones were almost drowned out by the general noise and the quality was poor on music (perhaps I'm expecting too much but even cheap headphones can be far better than those supplied).